For many Floridians, falls, trips, and stumbles are common occurrences that result in little more than scuffs and bruises. Many are victims to falling over loose shoelaces or staggering after a bumped toe; however, while the natural inclination may be to blame an injury due to clumsiness, sometimes another person or business may be responsible for your physical damage. If you or your loved one believe you have been injured because of another party’s negligent, reckless, or willful misconduct, you may have grounds to pursue legal action and obtain financial recovery. At the Shiner Law Group, David Shiner and his award-winning law firm have over 15 years’ experience representing victims of personal injury. Call us today or visit us online to discuss your legal options in a free case review. We provide our legal resources on a contingency fee: you pay nothing unless we win your case. Identifying Personal Injury: What Is a Slip and Fall Claim? 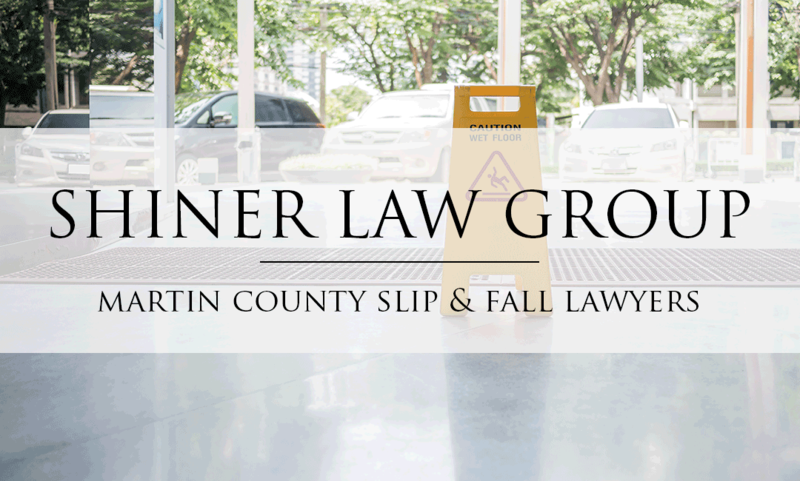 The term “slip and fall” or “trip and fall” are types of personal injury that typically fall under the umbrella of premises liability cases, which requires property owners to maintain their premises in a safe and reasonable manner. While the terms may be used interchangeably, there are subtle differences that could greatly affect the outcome of your case, particularly the type and amount of compensation available. A slip and fall occurs when a person’s footing loses friction with the ground due to liquid accumulation or a slippery object. A trip and fall occurs when a person’s footing meets resistance with an object, such as a wire or debris. The property owner knew of the hazardous condition and failed to make necessary repairs or provide adequate public notice. Florida’s statute of limitations permits victims of personal injury to pursue legal action against a negligible residential or commercial property owner within four years from the date of the incident or two years in cases of wrongful death. Legally sound defendants such as large commercial chains have virtually unlimited litigation resources, which makes obtain financial compensation for your injuries exceedingly complex. By hiring an experienced personal injury attorney who understands the underlying causes of premises liability you can build a compelling claim and maximize your financial recovery efforts. Proving negligence in a premises liability case caused by a slip, trip, and fall is often complicated, and quantifying your damages for past and future expenses may necessitate legal representation. The Shiner Law Group has handled thousands of personal injury cases and recovered millions of dollars in settlements and verdicts because we are committed to holding negligible property owners liable for breaching their legal duty of care. We customize our legal services to the facts and circumstances of each case, so you have effective representation to obtain the compensation you deserve for your injuries.